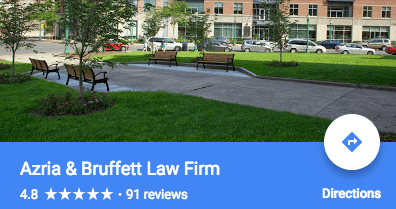 Thank you for your interest in retaining Azria & Bruffett PLLC. 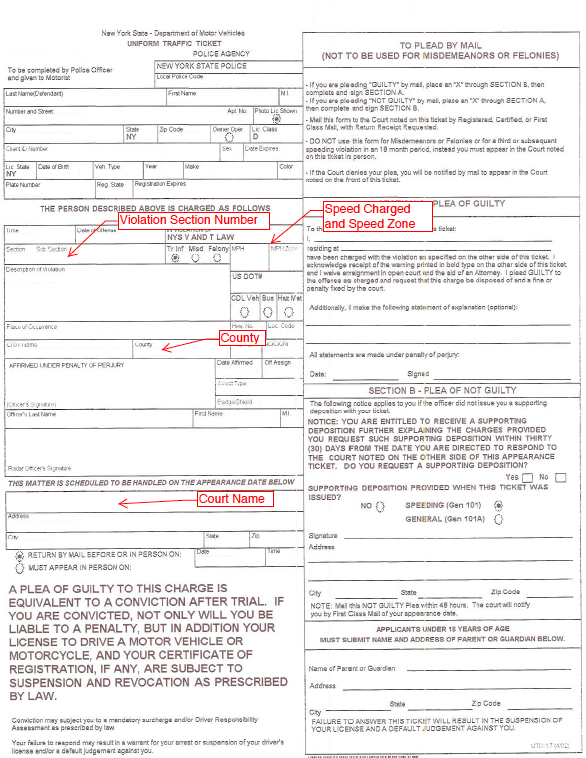 We offer this simple online process as a convenience for drivers charged with one speeding or cell phone ticket. This online portion will take just a few minutes of your time and then we will handle the remaining steps by email and telephone. If you have multiple tickets or other charges, please call us at (315) 364-1155. To begin, please fill out the information below and click the continue button. You will be asked for basic information about your ticket and be able to pay the legal fee with a credit card. We do not take cases in Long Island or in the five boroughs of NYC. Was an accident involved with this ticket? By making this payment, I, , hereby agree to employ Azria & Bruffett PLLC (A&B) and its authorized attorneys to represent me on the case described above and in no other matter. every case is different and I have not been guaranteed any particular result in this case. Click here for a Statement of Client Rights and Responsibilities. Thank you for choosing A&B to represent you. Within the next few minutes you should receive an automatic email receipt for the payment you just made. Within one business day, you will receive a email with further details and instructions. That email will include an overview of the remaining process, a questionnaire for you to complete, and a consent form for you to sign and return to us so that we may represent you in court. If you have any questions or concerns please feel free to call (315) 364-1155 or email help@azriabruffettlaw.com. Thank you again, we are pleased that you have chosen Azria & Bruffett to represent you. For the driver's name, please enter the name as it appears on the ticket. For your email address, please enter an email address that you check often. To protect your privacy, we recommend using a personal email address rather than an email account provided by your employer. If there was a car accident when you received this ticket, please answer yes in the dropdown. The County and Court information is located on the ticket as indicated below. Please note that some geographic locations have multiple courts, so please select the court exactly as it is listed on the ticket. For example, Manlius has Manlius Village Court and a Manlius Town Court, Oswego has Oswego Town Court and Oswego City Court. Please refer to the graphic below to locate the requested information on the ticket. Should I call the office before submitting my ticket online? What are common court fines? Do I have to appear in court or send my ticket to the court? What will the outcome of my case be? What if there is no reduction in my case? No. There is no need to call before you begin the process. So long as you are submitting only one cell phone ticket or one speeding ticket, you may complete the process now. After you have submitted payment, you will receive an email receipt for your payment which will include further instructions. If you would like to speak to a lawyer in advance, please do not hesitate to call us at (315) 364-1155. The total cost of your case will be the legal fee plus any fine and surcharge imposed by the court for the reduced charge. Legal fees vary based on the severity of the charge and the court where the ticket is pending. The online system will compute the legal fee for your ticket. This flat legal fee covers everything up to a trial, including dealing with the courts and negotiating with the prosecution. The vast majority of cases are resolved through negotiations. The legal fee charged here does not cover the cost of a trial. Traffic trials are rare. The flat legal fee that you paid here is the only legal fee paid by the vast majority of our clients. Most cases conclude with the driver pleading guilty to a reduced charge. The court will then determine a fine. In New York, fines are stated as a range - for example $90-$300. The Judge determines a fine within that range and then must add any state mandated surcharge. For example, if you pleaded guilty to speeding 80 mph in a 65 mph zone, the fine would be a maximum of $300 plus a mandatory state surcharge of $93 for a total maximum of $393 payable to the court. While we have seen many judges impose the maximum fine, others do not, so the actual fine in your case cannot be determined in advance. On the other hand, if you hired our office and we negotiated a reduction of the speeding ticket to a parking violation, the maximum fine would be $150 plus a surcharge of $25. And there would be no points added to your record. No, unless you choose to go to trial. Nearly all of our cases are settled by negotiating a reduction of the original charge to a lower offense with the prosecutor. Traffic trials are difficult to win, will require your appearance, and are more expensive than the plea bargaining process. Occasionally, the prosecutor will not offer a reduction, and in that case, a trial may be appropriate. If your case results in no offer, your attorney will be in touch with you to discuss your options. New York traffic law states fines as a range, for example $90-$300. The Judge has the authority to set a fine within that range and then must add any state mandated surcharge. Therefore, it is impossible for us to predict exactly what the fine in your case will be; only the maximum it could be. Here are the fine ranges for speeding tickets, cell phone tickets, and some common reduced charges. *A speeding conviction for between 21 and 30 over the limit is 6 -points and will cause the New York DMV to issue a Driver Responsibility Assessment of $300. The New York DMV will send this assessment to all drivers, whether licensed in New York or elsewhere, if that driver accumulates 6 points in any 18-month period. $0 - $150 fine + $93 surcharge for the first offense of section 1225(d), use of portable electronic device. $50 - $150 fine + $93 surcharge for the first of offense of section 1225(c)2a, mobile phone use. Both are 5-point violations in New York. While the fines for cell phone use are less than for speeding, many people hire us to reduce the point total. Having points can mean additional insurance premiums, license suspension, and potentially more fines in the form of a DMV assessment. At the end of your case, we will both mail and email you the fine notice. You will need to send payment directly to the court. Some courts accept credit cards and others take certified checks or money orders. Courts do not accept personal checks. No. For speeding and cell phone tickets, you will not have to appear in court. We ask that you do not send the ticket directly to the court. The vast majority of traffic tickets cases may be handled by mail and each case begins with our letter of representation to the court. Our letter of representation is the equivalent to your appearance in court. This letter informs the court that we are representing you, enters a not guilty plea on your behalf, and postpones the case to give us the opportunity to negotiate with the prosecutor. We just ask that you pay prompt attention to any calls or emails from our office as we proceed through the process on your behalf. Of course, if you ever have a question, do not hesitate to call or email. In every case, we seek the most favorable outcome possible. Your case will likely end with a reduction of the original charge and a fine for that reduced charge. We understand that most drivers want their ticket dismissed or reduced to no-points. As your lawyers, we want the same thing and have achieved those results in numerous cases. However, we are unable to guarantee or promise a particular result in your case. The precise outcome of your case will depend on numerous factors related to you, the prosecutor, and the judge. Factors related to you include the specific charge and surrounding circumstances, your driving record, and the equities involved in your case. To help us make the best argument for a reduction on our your behalf, we will send you a questionnaire to collect this information. We treat each case individually and the more we know about you the more effectively we can advocate for you. We then make an argument to the prosecutor for a reduction or dismissal of your ticket. Each prosecutor and district attorney may have differing policies about which reductions, if any, they may offer. A prosecutor has no obligation to offer any reduction and may choose to force you to plead guilty to the original charge or have a trial. Our job is to convince the prosecutor to offer the best reduction possible. Once we have a deal with the prosecutor, the judge must approve that deal. Judges sometimes reject the negotiated plea bargains. If a judge does reject the deal in your case, we will work to find a deal that all parties will accept. Occasionally, a prosecutor will not make an offer in a case. This may happen, for example, if the there was a particularly high speed offense charged or if the driver has a poor driving history. If your case results in no offer for a reduction, your lawyer will review your options with you. The average traffic case takes 6 - 12 weeks to conclude. What are the steps involved in resolving my ticket? The vast majority of the cases proceed as described below. For counties with a traffic diversion program; such as Broome, Steuben and Livingston, the process below is slightly different. But in every case, we will direct you through the process in the most convenient manner possible. This entire process generally takes 6 - 12 weeks to conclude. First, we send a letter to inform the court that we represent you and to enter a not guilty plea on your behalf. We will also request that the court adjourn your case to later date to allow us the opportunity to negotiate a reduction of your ticket. As a result, the court date printed on the ticket will no longer be applicable and you will not have to appear in court. We will then negotiate a reduction or a dismissal of your ticket with the prosecutor; we may do so in person or in writing, depending on the circumstances. These negotiations conclude with a plea bargain or proposed disposition of your ticket. To help us formulate an argument on your behalf, we will send you a questionnaire asking about you and the circumstances of your ticket. After we have obtained a proposed reduction of your ticket, we will explain to you the reduction and the consequences of pleading guilty to the reduced charge. Once you have consented to the proposed disposition, we will send it to the court for review. These dispositions are "proposed" because the court must accept it in order for you to gain the benefit of the reduction. Usually, courts will accept the proposed deal we have negotiated with the prosecutor. The court will then send a fine or dismissal notice to our office. Occasionally, a court will reject the proposed disposition. If this happens, we will negotiate a new disposition or otherwise reach an acceptable outcome without any further charge to you. If the court accepts the proposed disposition, the judge will issue a fine notice for the reduced charge. Typically, we will both email and mail the fine notice to ensure that you receive it. It will be your responsibility to pay the fine according to the court's instructions. Courts typically allow 2 - 4 weeks for payment of the fines.